Prices vary depending on network and phone model. Complete our form to check the best price available to unlock your phone. Select the Network where the phone is currently locked to. Dial *#06# on the phone to get the IMEI. Where should we send you the unlock code? Ensure that your is SIM locked. To do this, insert another network SIM and wait for an unlocking message to be displayed. If your phone doesn’t show any unlocking message and does work with another network SIM, your is NOT SIM locked. Be sure that you send us the correct IMEI. There are 2 ways to retrieve the IMEI of your : Either dial *#06# on your phone, or check the sticker underneath the battery of your handset. The IMEI is a 15 digit number that is unique for each handset. Please provide your current country and operator, NOT the one you intend to use after unlocking. There are certain operators in certain countries that sell phones we can NOT unlock. Check which phones we can unlock. If you place an incorrect order by not fulfilling the above requirements, we are unable to provide a refund. Whenever UnlockUnit processes an unlocking request, it costs us money, even if the submitted IMEI or network information is inaccurate. NOTE: We do not unlock CDMA or Dual-SIM Phones. Any orders place for these phones are not eligible for a refund. When placing an order on UnlockUnit.com you are fully responsible for providing the correct IMEI (International Mobile Equipment Identity) number for your phone. Entering the wrong IMEI will result with us generating the wrong unlock code and the code will not work on your mobile phone! In this case we do NOT refund your purchase, as we already pay our supplier for generating a code. You are fully responsible to make sure that the phone model and network are compatible with and supported by our service. We only support GSM networks. We do not support service providers that use CDMA technology: e.g. Verizon. Alterations to a cellular device may invalidate the manufacturer’s warranty. You are responsible for checking the device warranty. All information provided by the Buyer at the time of ordering is 100% accurate, including the IMEI number, the network carrier and the phone model. The Buyer has followed all the unlocking instructions exactly as stated (troubleshooting steps have to be followed as well). The target device is not stolen or blacklisted. The target device has not been unlocked previously. An unlocking procedure using a code has never been attempted on the target device. UnlockUnit.com guarantees that your handset will not be damaged during the unlocking process providing the instructions are followed exactly. If the phone is stolen and the carrier barred or blacklisted it. If someone has attempted too many times to unlock your phone before, if your phone is hard locked or if it has been tampered with. If the IMEI number, service provider or phone model given is incorrect. We do NOT give refunds if any of the above reasons fails to unlock your phone. If our service fails to unlock the handset, we will contact you to confirm that the information entered when the order was placed was accurate. If the IMEI number was incorrect, in some cases (when possible), we will ask you for the correct number and reprocess the order. If the information entered at the time the order was placed is correct, we reserve the right to require additional evidence to verify the claim that the unlock procedure did not unlock your device. You will be required to send us a video recording showing the device in question, along with the IMEI number on the sticker of the device and the IMEI number displayed on the device screen. 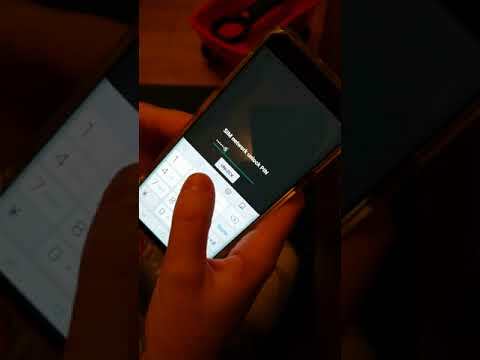 Additionally, the video must show you inserting an alternate SIM card in the device and the displayed message on the screen, then you typing the unlock code and the message displayed after you type in the code. These measures are the only way that we can verify the validity of your claim. Once an order is placed, it cannot be canceled as we start processing your order when we receive your phone details. Even if you have not received your code yet, we can’t cancel the order, as the wheels are already in motion and the supplier is already processing the order. To check on the progress of your order, Contact Us. No refund will be issued for delayed orders, for duplicate orders and for dual SIM devices. Also, please note that a payment can be refunded only within 30 days. UnlockUnit.com reserves the right to take the necessary precautions to prevent fraud. We may refuse any order which is suspicious or fraudulent. Additionally, we may ask you to submit supporting information that may be required to verify the use of a credit card. Orders that are found to be fraudulent may be reported to the proper authorities. The trademarks, logos, and service marks displayed on this site are the property of UnlockUnit.com or other third parties. You are not permitted to use the Marks without the prior written consent of UnlockMotorolaIMEI.com or such third party that may own the Marks. Be sure that your phone is SIM locked. Insert another network SIM and wait for the unlocking message to be displayed. If your phone doesn’t show any unlocking message and if it works with another network SIM, then your handset is NOT Sim locked. Be sure that you send us the correct IMEI. There are 2 ways you can get the IMEI of your phone. The first one is by dialing *#06# on your phone. The second one is to check the sticker underneath the battery of your handset. The IMEI is a 15 digit number that is unique for each handset. Be sure to choose the original country and operator – NOT the one you wish to use it on! There are certain operators in certain countries that sell phones we can NOT unlock. If you place a wrong order by not fulfilling the requirements above, you will NOT be eligible for a refund. We support the cost for each IMEI we try to unlock, that’s why if we generate a code for a wrong IMEI or a wrong network, we are not able to send your money back. NOTE: We do not unlock CDMA or Dual-SIM Phones. If you place an order for this type of phones you will not be eligible for a refund. Unlock Samsung Galaxy Core Prime - Step by step instructions on how to unlock your Galaxy Core Prime. It is super-fast & easy. Included is our 24/7 Customer Support! You can check your order at any time with our Live Order Updates system. To find your IMEI number, dial *#06# on your phone (IMEI is a 15 digit number). We’ll then give you the best price available to unlock your Samsung Galaxy Core Prime. Our methods of payment include credit card, PayPal and Skrill. All payments are protected with a 100% money back guarantee. Your unlock code and instructions will be sent via e-mail as quickly as your phone network allows. Enter the code into your Samsung Galaxy Core Prime and it’s immediately unlocked. In the unlikely event of a problem unlocking your phone, we’ll happily refund your money. We're happy to answer any question you have. Contact us. To use your unlock code, insert another network SIM into your phone. Your will read “Enter unlock code” or “Pin Network Unlock Code”. Enter the code and your phone will immediately be unlocked. If your phone fails to display a designated field to enter the unlock code, please contact us for further instructions. UnlockUnit.com can unlock most GSM Carriers across the globe. If you are trying to unlock a phone in North America, Europe, Asia, Australia, South America and over 200 other Countries in the World, if UnlockUnit.com can’t do it, most likely no one else can. Our most popular GSM Network Phone Unlocking include the following networks: Unlock AT&T, Unlock T-Mobile, Unlock T-Mobile USA, Unlock Metro PCS, Unlock Vodafone UK, Unlock EE UK, Unlock Rogers and many more. even earn money by unlocking your friends phones. You can find more independent testimonials on our Facebook page or Trustpilot review center.